On a recent weekend getaway to the coast of the PNW, my husband and I discovered the Kilchis Point Reserve - a beautiful trail system nestled into a quaint little town (Bay City, Oregon). 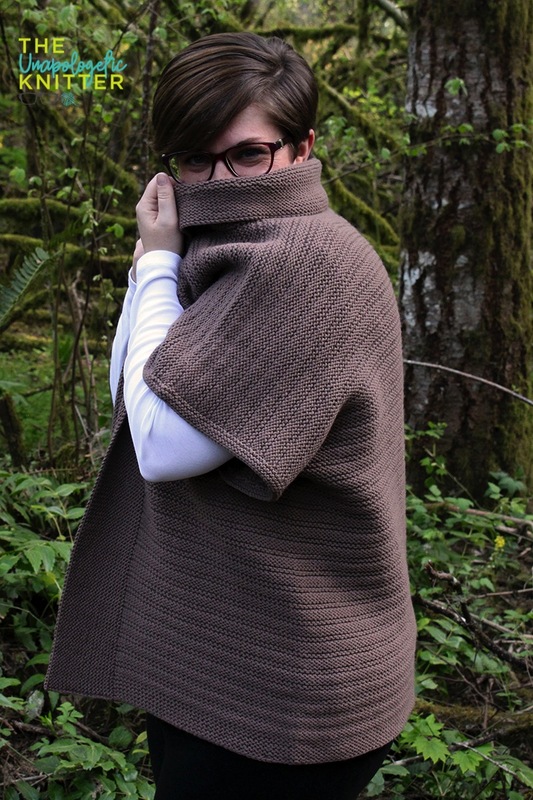 I knit up this easy-wearing cardigan to take back the next time we visit! And I kept the name short and sweet since "Kilchis" isn't super easy to say. If you're curious, it's 'kill-chiss' - like "chess" with an i. I thought it was Kill-kiss... the locals looked at me like I was crazy. 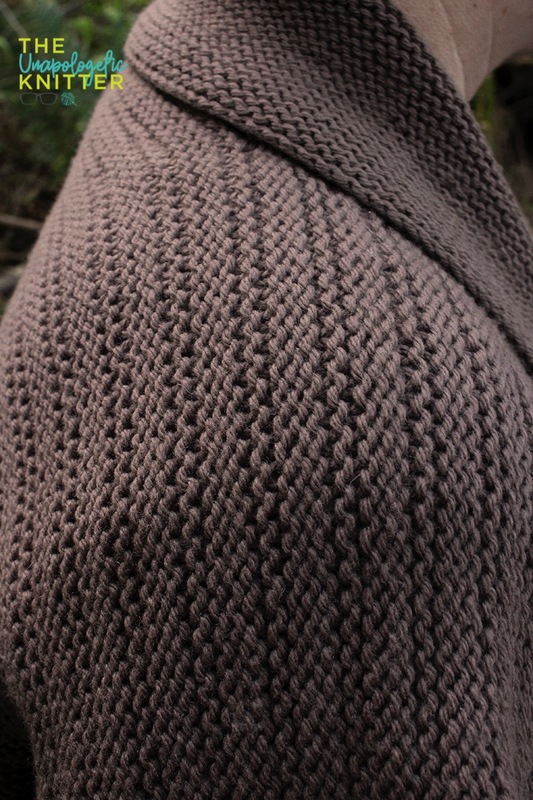 The simplicity of the 6-row pattern makes this great TV knitting, or heck, road trip knitting as you journey to YOUR favorite getaway. 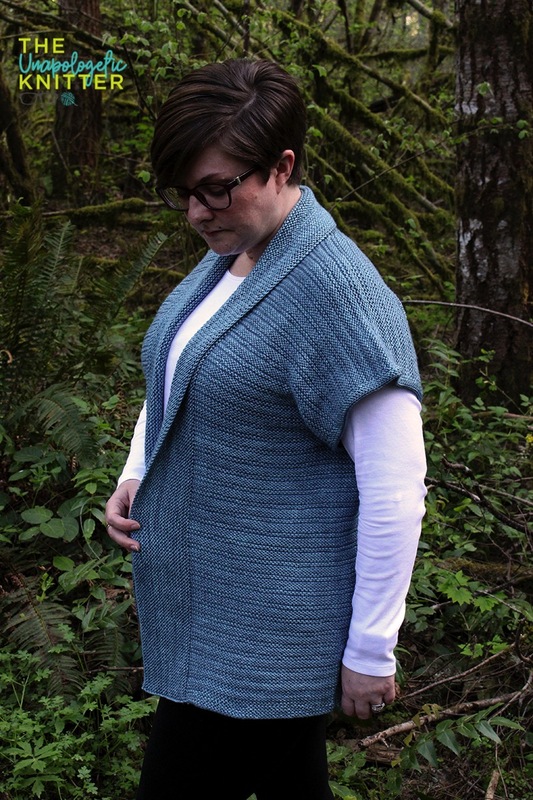 The worsted weight yarn makes the Point Reserve not only a quick knit, but the perfect seasonal transition piece between winter and spring, and again between summer and fall. I picture myself wearing this not only on the walks through the Reserve, but around a bon fire with a glass of wine (or the odd dram of whisky if its really chilly). To be worn with up to 5”/13 cm positive ease. Modeled with 2.5”/6.5 cm positive ease (Floo Powder) and 4.5“/11.5 cm positive ease (Twig). This sweater is worked seamlessly from the top-down, beginning with Judy’s Magic Cast-On at the top of the Left shoulder. 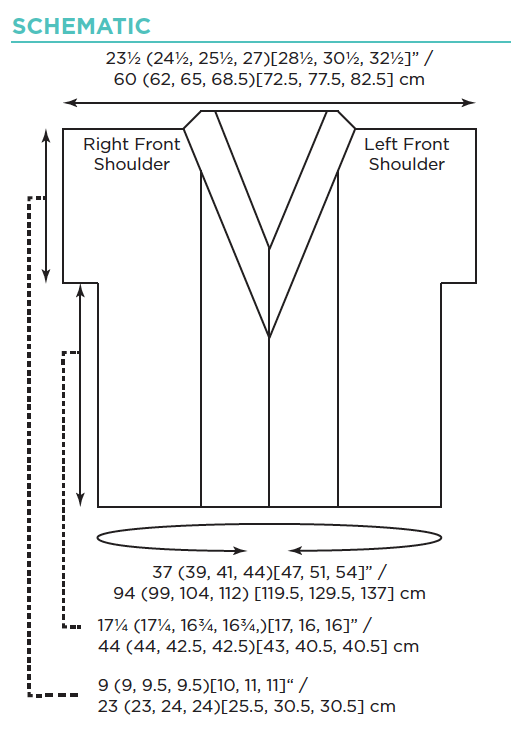 Each shoulder is worked separately and then joined at the back of the neck to continue an almost-seamless construction to the bottom of the hem. To create the kimono-style sleeves, a small number of sts are placed on hold and seamed before finishing the cuffs. Adjust needle size as necessary to match gauge. The Small needle should be 3 needle sizes smaller than the Large needle when gauge is met (i.e. : a US 5 if gauge is met on a US 8, a US 6 if gauge is met on a US 9). Written instructions are provided for the entirety of the garment. There is no charting necessary. Special techniques used in this pattern are the Kitchener Stitch, Judy's Magic Cast-On and the Cable Cast-On. Written instructions and/or links to video tutorials are provided for each skill.